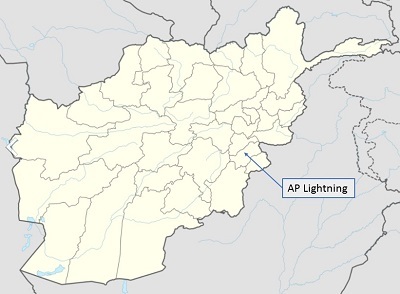 Task Force Southeast is located on Advising Platform Lightning in Gardez, Paktia province, Afghanistan. This is adjacent to the headquarters of the 203rd ANA Corps and near the 303rd Police Zone Headquarters.The mission of TF Southeast is to train, advise, and assist the 203rd Corps and 303rd Police zone Hqs to enable the Afghan National Defense and Security Forces (ANDSF) to retain key terrain, disrupt insurgent networks, generate sustainable comabt power, and set conditions for future operations. History of TF Southeast. In the 2014 timeframe, as a result of the continued drawdown of U.S. and other Coalition nations, the organizational structure of the International Security Assistance Force (ISAF) was changed. 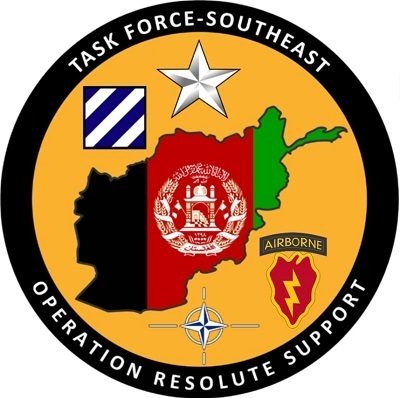 Most of the Regional Commands or RCs were replaced by Train, Advise, and Assist Commands or TAACs that continued the Security Force Assistance mission in Afghanistan. When Regional Command East was reduced to TAAC level the TAAC only covered the 201st ANA Corps area. The 203rd ANA Corps located at Gardez lost its full-time advisory platform. In its place a 'fly to advise' advisor team would periodically visit Gardez to conduct its 'train, advise, and assist' mission. When the regional commands were done away with the 203rd and 215th ANA Corps (and the respective police zones) lost their full-time, co-located advisory platforms. These full-time advisors were replaced by Advise and Assist Cells (ACCs) that operated out of Kabul and traveled periodically to the corps and zone hqs in Gardez and Helmand provinces. These ACCs were then replaced with full-time task forces, once again co-located in the respective corps / zone regions. Task Force Southeast Area of Operations. Task Force Southeast - SFA / TAA in Gardez, Afghanistan, SOF News, June 22, 2017.